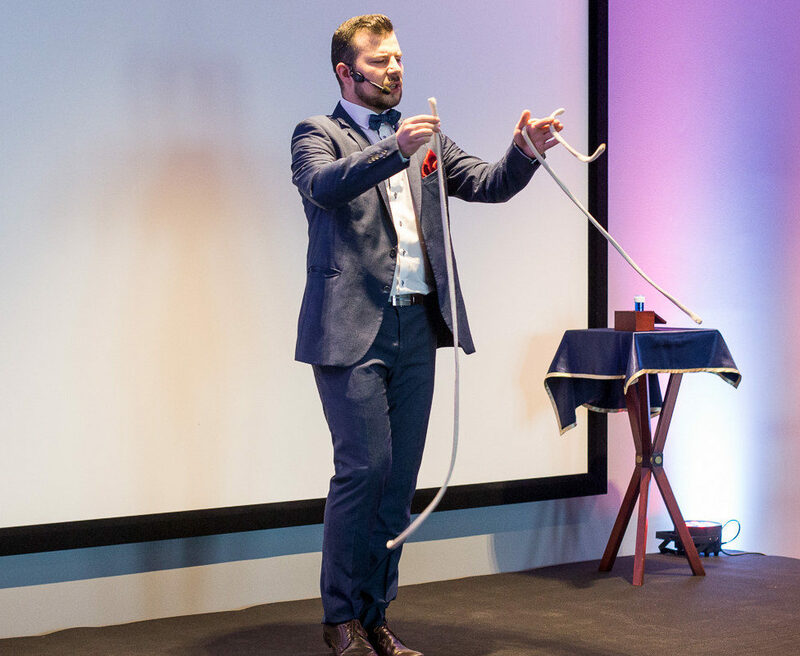 The main feature of our offer of illusion shows for companies is considerable flexibility. 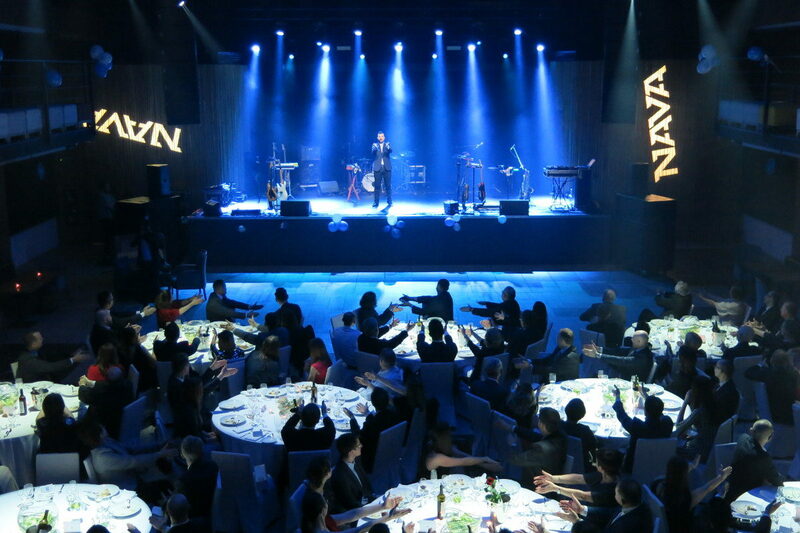 We are ready to cooperate and develop a tailor-made solution to match the nature and scale of any event. 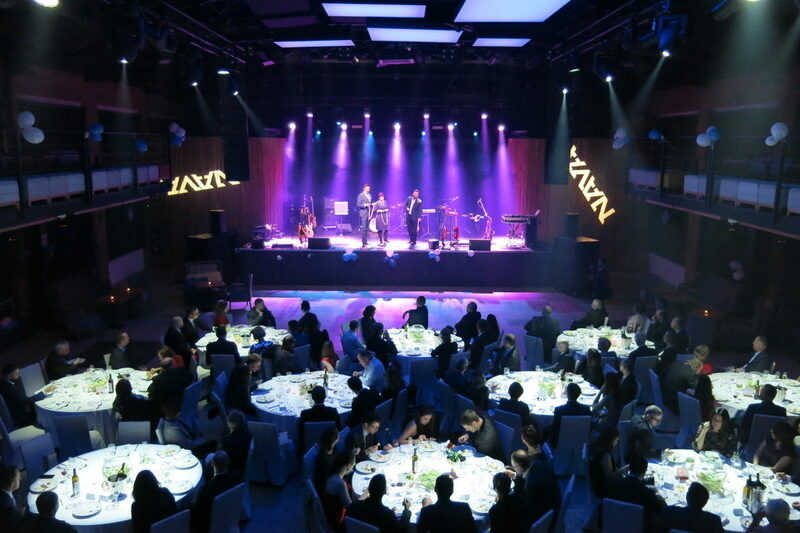 Depending on whether this is a private banquet, a splendid reception for hundreds of guests or an industry conference, we will offer a show which will satisfy your individual expectations and needs. No matter which form of the show is selected, fully professional performance is guaranteed. 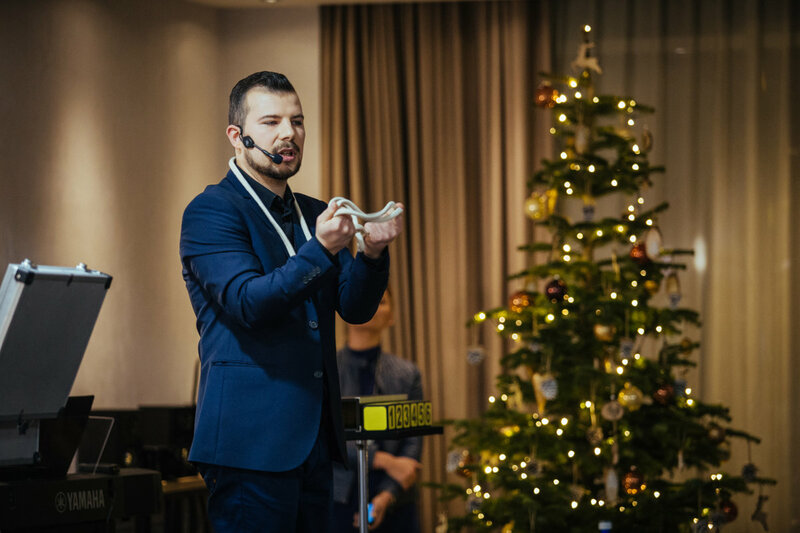 Tomasz’s long‑term experience gained in the process of cooperating with hundreds of companies in Poland, his elegant style and wit bring top quality entertainment. 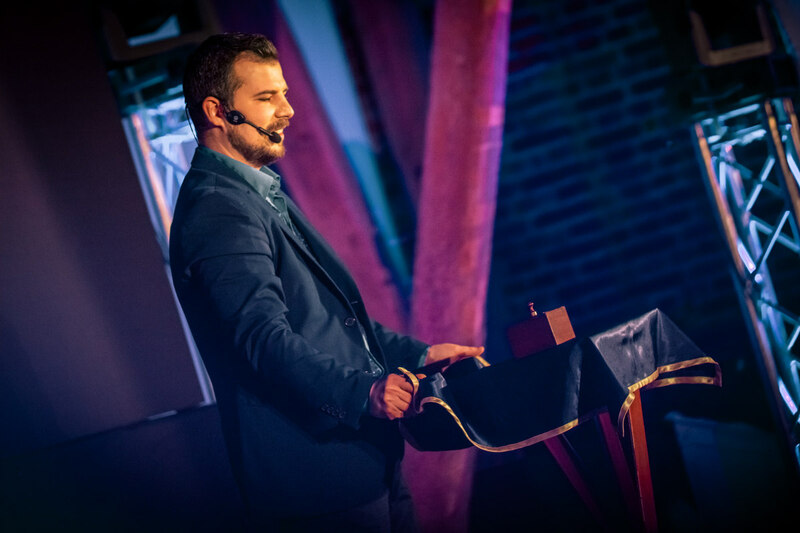 A distinguishing feature of his shows is active participation of the audience in illusion tricks presented. For this reason, the show enhances the integration of guests, and it is both amusing and involving. A rich repertoire, modern approach to the art of illusion and the charismatic personality of the performer himself ensure an outstanding artistic experience and a positive response from the audience. 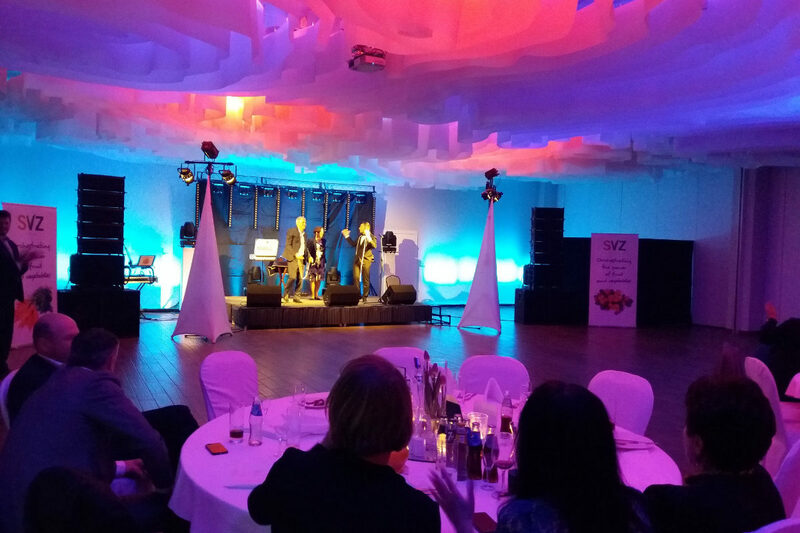 It is a great opportunity to make your company event even more attractive and memorable for your guests. 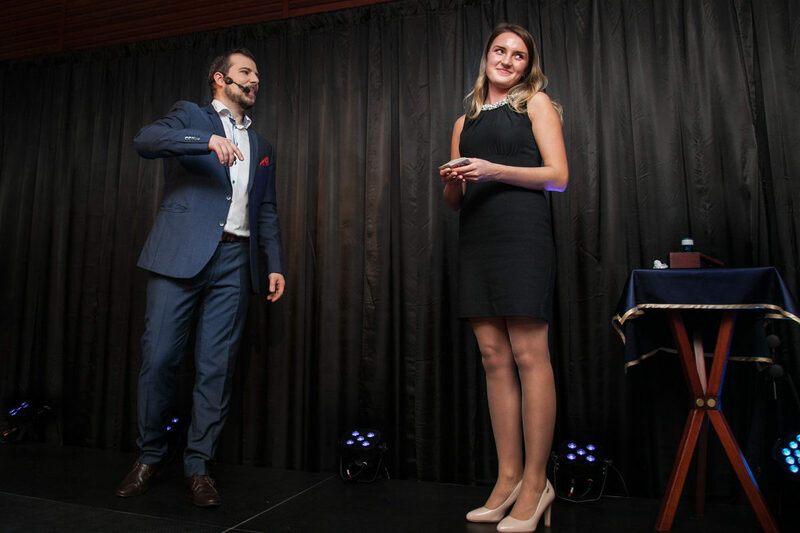 If you are looking for a unique and quality entertainment offer which will impress your business partners or employees, or if you need an original method of promoting your product or corporate image, do not hesitate to contact us. The show is available to all guests simultaneously. This programme includes spectacular illusion effects with musical background and effects engaging spectators as active participants. 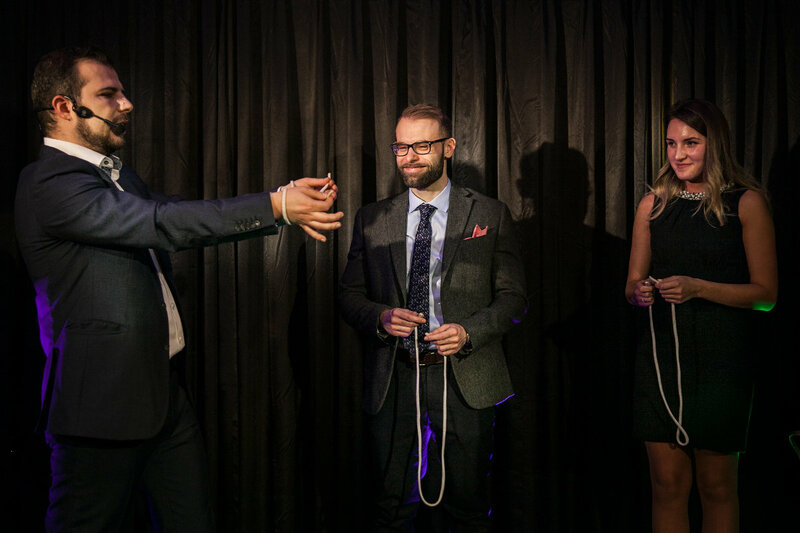 Variety of presented tricks, dynamic music and original interpretations of tricks create unforgettable experience for the entire audience. Thanks to our own technical facilities (sound system, lighting, mobile settings, assistants), we are able to arrange and prepare the venue for the show on our own. We are also willing to cooperate with music bands and DJs in the venue, if needed. This is an alternative to the stage performance. This format is designed for smaller venues, possibly without a separated stage area. Effects are based on a humorous dialogue with the audience and close cooperation with guests, while the aim of such a show is to have fun together and to integrate the group. 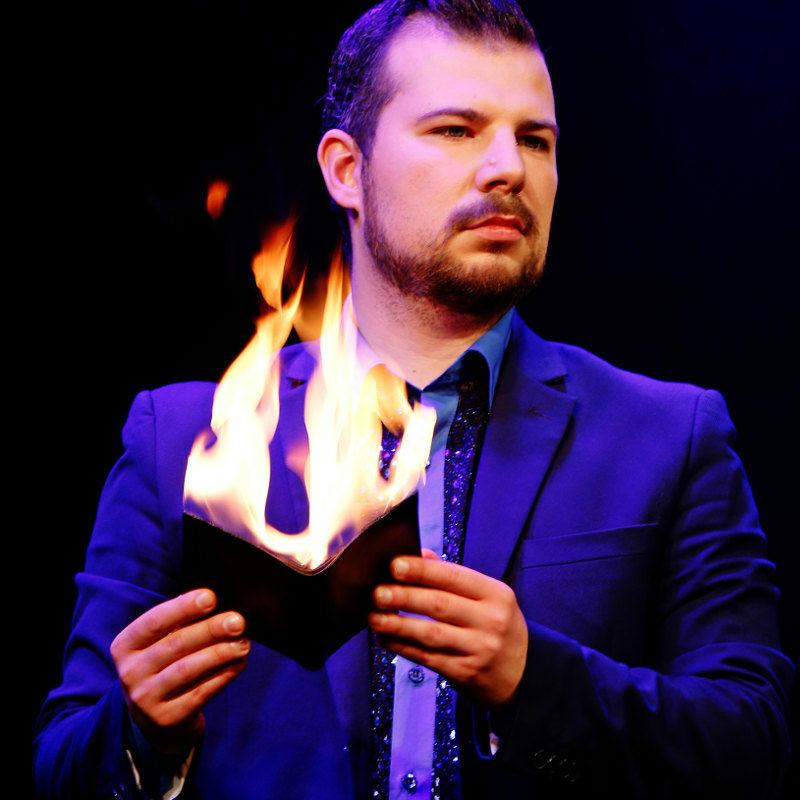 Astonishing illusion tricks are interwoven with witty jokes and gags. This programme is performed in close proximity to guests. 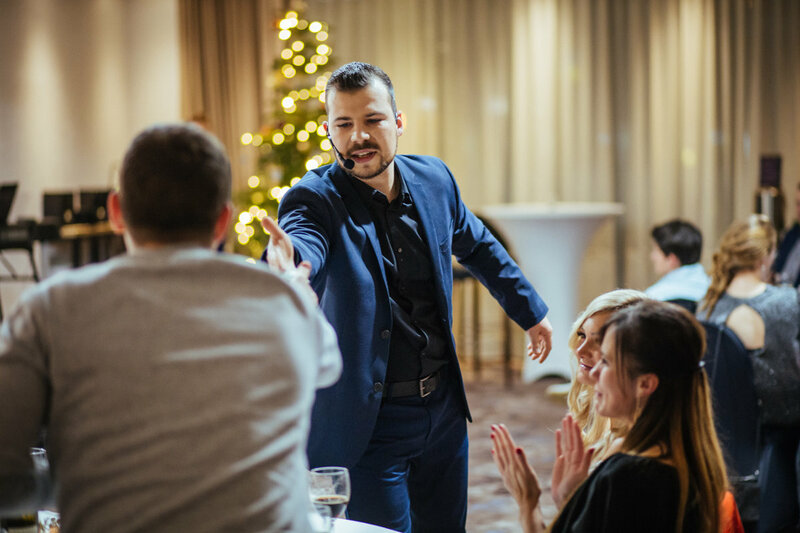 The artist mingles around to approach specific tables or groups of guests and entertain them with amazing illusion tricks with the use of props, such as cards and coins. 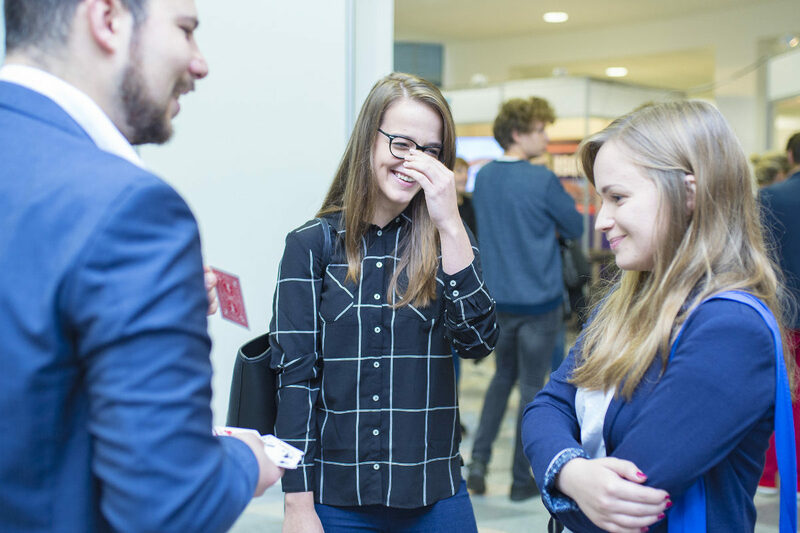 This is a perfect opportunity to start an interesting conversation and have fun together. Magic actually happens in the hands of spectators! A great advantage of this form is that there are no technical or spatial requirements. This may be performed simultaneously with other attractions, such as dancing. 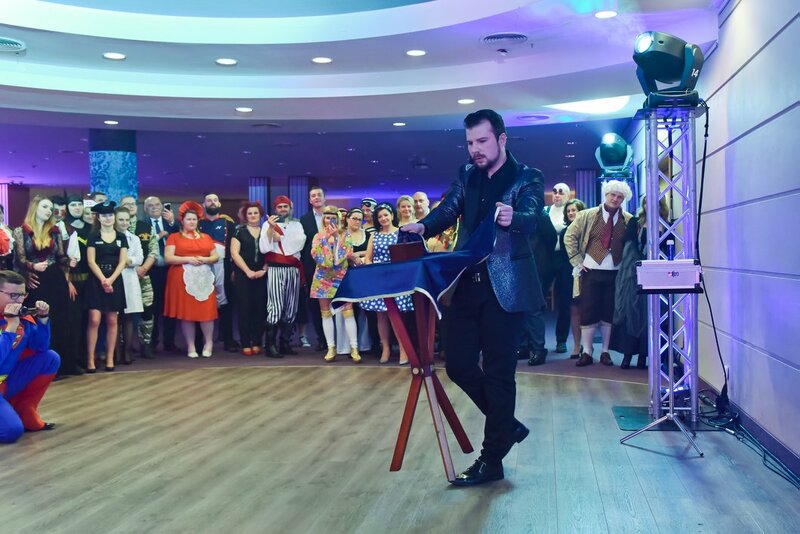 Table Hopping is a perfect way to complement the stage performance/stand up show; combining the two guarantees comprehensive entertainment throughout the evening (Table Hopping may last even a few hours, depending on the number of guests).